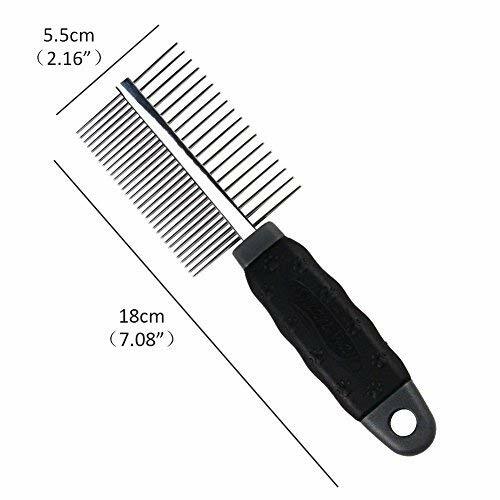 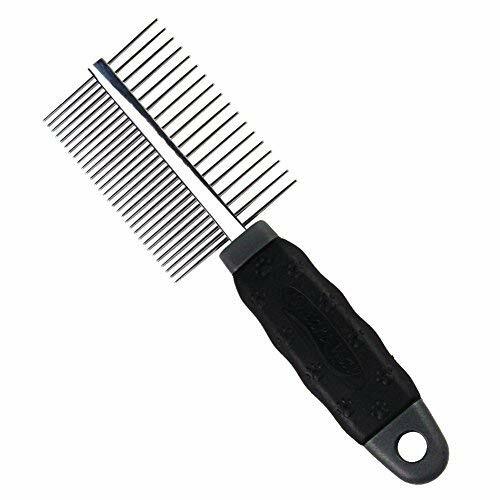 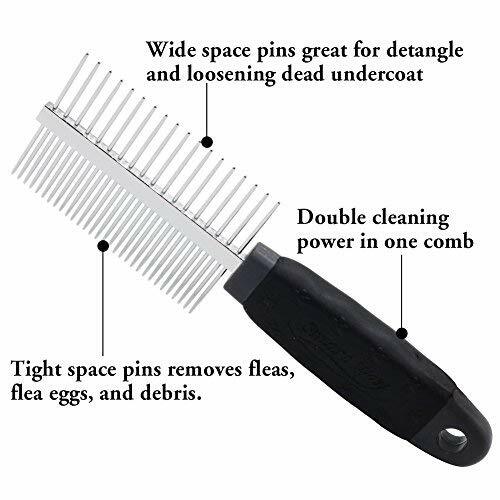 this comb can do various jobs from deshedding to dematting . 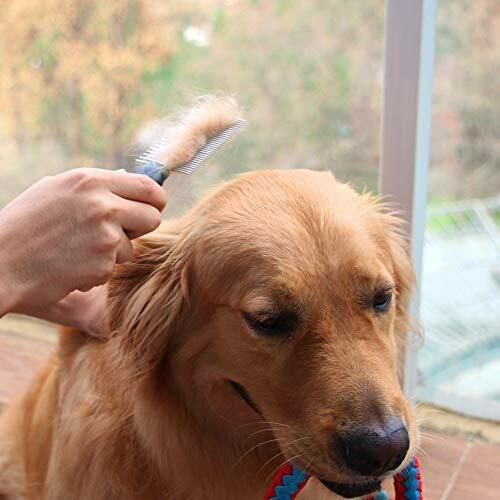 My dog has medium length hair and is especially knotted and matted in the winter when I am not able to trim his fur but at least i can help him shed some now . 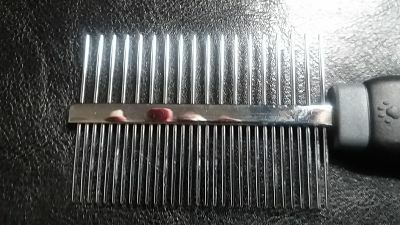 This comb has two sets of teeth , different on each side , a smaller teethed comb one side and larger on the other . 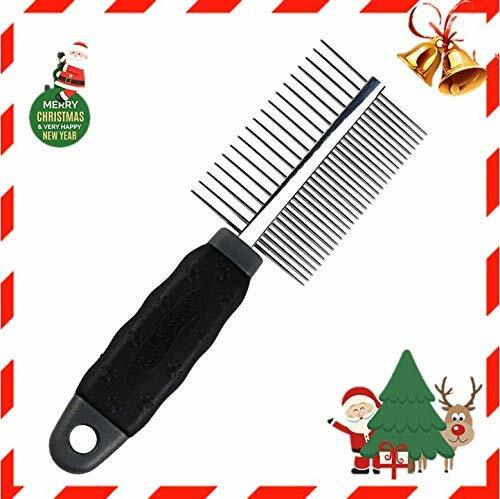 It is made of good quality stainless steel for the comb teeth and a soft handle, the total length is 18 perfect size . 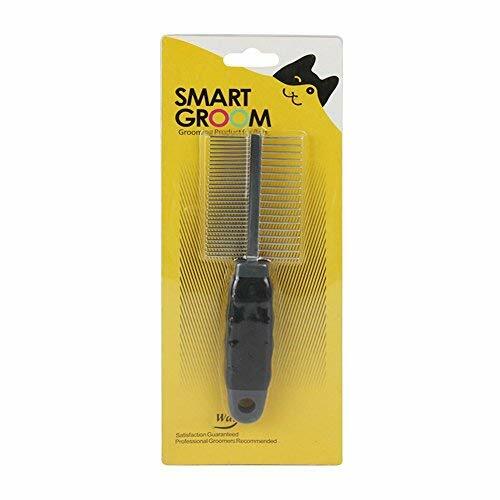 Ideal for cats or dogs or any long or medium haired animal. 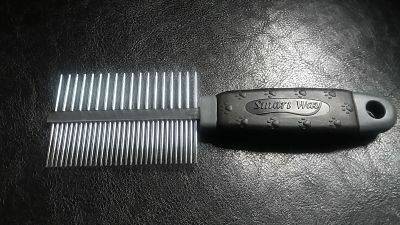 For more information please click on the link below.